“Relax and don’t worry about it”. I’m no psychologist. All I know is what I learned in my Animal Behaviour modules in University (and humans are just animals with egos), and what I have picked up over my years of getting people to do better than they thought they could. But I know how important having the right frame of mind is. It can mean the difference between winning and losing (or achieving or missing your goals). Going into something believing you will fail almost guarantees you will fail. But in the long run (and I love looking at the big picture) having the right attitude can regulate what happens on the occasions when (not if) you fail/succeed. Being relaxed and not worrying (like Antony Duffy here) means you can go from getting swept and falling over, to counter attacking and scoring in less than a second. 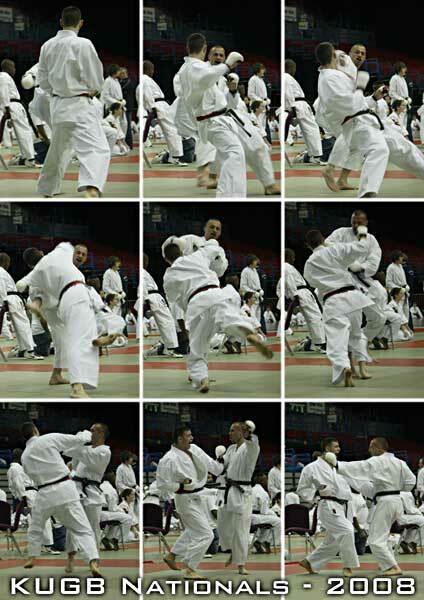 In Karate the other night, a couple of the students were sparring. One was really trying to catch his opponent. He is bigger, stronger and just as fast, but when he missed his opponent a couple of times, he got frustrated. This caused him to seize up, slow down and miss obvious opportunities. This in turn, caused even more frustration and so on. This is a classic case of a negative feedback loop. Once you get into them, it is hard to get out of them. While this guy was getting frustrated, his opponent was having a whale of a time! He was relaxed and playing, so he was quicker, more confident and willing to try different things…utimatly, he was enjoying himself! Relax and don’t worry about it. Everybody misses sometimes. Even Muhammad Ali, one of the greatest fighters of all time missed some punches! So it really isn’t a big deal if sometimes we miss too. We are not perfect! But we are quicker, more agile, more flexible and have a greater range of options open to us, if we are physically and mentally relaxed. This makes us more likely to succeed…which makes us more relaxed, and so on. This is an example of a positive feedback loop. It took me a hell of a long time to learn to relax. But when I did, there was a step change in my kumite. She falls off the wagon in a huge way and binges out on sugary foods, putting her health, teeth and mental balance at risk. She goes through life miserable, not enjoying one the most fundamental and vital aspects of our lives (food). And maybe even spiraling down into some kind of eating disorder. She will continue losing weight if she still wants to. She will stop seeing some foods as forbidden and craving after them (an unhealthy relationship with food). She will stop being sick to death at the thought of other foods and hoping to avoid them altogether (another unhealthy relationship with food). She will take a huge burden off her shoulders and start to enjoy life, and food, some more (a healthy relationship with food). In the first situation, the guy needed to relax in order to turn a failure into a victory. In the second situation, the woman needed to relax in order to realise she had already succeeded! Two different situations, but the same advice for both. Of course, this advice doesn’t work for all people in all situations (never believe in absolutes 🙂 ). But here in the fitness industry, there are far too many people, taking far too many things, far too seriously. Follow the basics most of the time. (This is the most important one, so pay attention) Enjoy learning and following the basics most of the time.